A customer brings their EBT card to the market manager who will swipe your card for an amount you choose. You can find the market manager in Stall #25 at market. The customer may want to use $10 of their EBT money to spend at the market. A Market Manager will swipe the customers card on the machine, and then give them ten $1 red tokens to use just like cash at the market. Because of a generous grant we received, the Market Manager will also give the customer ten $1 yellow tokens! These yellow tokens may only be used to purchase fresh fruits and vegetables. This means those in need will be able to double the money they have to spend at the farmers market on fresh, local food, and our farmers will sell TWICE as much produce and baked goods! We will match up to $50 per customer, per day. No change can be given for $1 tokens. These tokens are not interchangeable amongst vendors. It is illegal to give cash change for these $1 tokens. These tokens can be used to purchase produce, vegetable plants, packaged baked goods, jams, jellies, beef, poultry, and more. Hot, ready to eat or drink items are NOT available to purchase with tokens. The dates for the 2017 season program are: May 6th - October 28th, every Friday and Saturday from 8am-1pm. 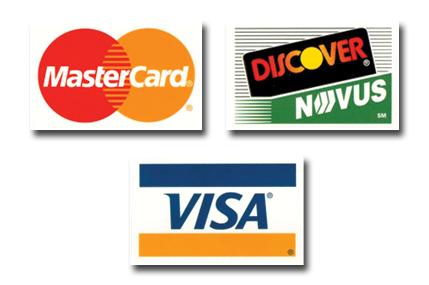 The Salem Farmers Market is also set-up to accept credit and debit cards! This is great for people who only bring a little cash to the market, then realize there are so many great things for them to buy. These customers will go to Stall #25 where the Market Manager will be, where they will swipe their card and determine how much they want to spend. Unlike the $1 tokens, CHANGE CAN BE GIVEN FOR $5. Unlike the $1, there are NO RESTRICTIONS on what the green $5 tokens can buy. These are just like a five dollar bill! All vendors at the market accept these tokens. Market Bucks make perfect gifts! Just visit the Market Manager on Stall #25, and purchase market tokens in $5 increments. 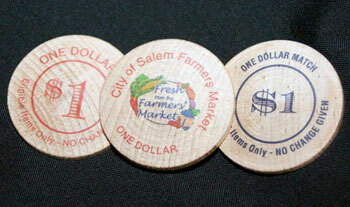 These tokens can be used to purchase anything at the Salem Farmers Market. Reusable shopping bags are also available for purchase. Tokens & bags are sold on Friday & Saturday, 8AM - 1PM. For more information, or to purchase tokens at a different time, please contact the market manager. For the past four years the Salem Farmers Market has been a leader in the Roanoke Valley with the acceptance of EBT (Food Stamp) cards, as well as Debit and Credit cards. In the past, we have partnered with the Salem Food Pantry, the Foundation for the Roanoke Valley, and Freedom First Credit Union to be able to match the state funding, allowing those on food assistance to double their spending power at the Farmers Market. This year, we have been awarded a FINI grant through Wholesome Wave, allowing the market to continue this matching program. This program has been OVERWHELMINGLY successful – over $20,000 was reimbursed to the farmers during the course of the season. We were also generous with our excess and blemished produce. The vendors of the Salem Farmers Market donated over 3,500 pounds of food back to 3 charitable organizations: the Salem Food Pantry, the Roanoke Rescue Mission, and Hopetree Family Services. This program is a huge success and really set the Salem Farmers Market apart from other local markets. Market customers are also encouraged to share with those in need. Food donations may be left at Stall #25 each Friday and Saturday, 8AM - 1PM - the market management will deliver all donations to the various charitable organizations. Whether from a market vendor or a back yard garden, giving is strongly encouraged and appreciated.